Spain’s financial markets regulator, the Comision Nacional del Mercado de Valores (CNMV), has issued a warning that the forex broker Lockwood Investments is not is not authorized to provide investment and auxiliary financial services in Spain. The National Securities Market Commission (often abbreviated as CNMV) is the Spanish government agency responsible for the financial regulation of the securities markets in Spain. It is an independent agency that falls under the Ministry of Economy, Industry, and Competitiveness. The broker operates through the website www.lockwoodinv.com and offers Forex and CFD trading. There are two companies behind this brand. MEDIA GROUP LTD is operates Lockwood Investments and is based in the St. Vincent & The Grenadines, where the main office of the company is located. It means the broker is an offshore entity and there is a high risk for the customers when dealing with this firm. The second company is SolutionsCM LTD that claims to be regulated by the Bulgarian Financial Supervision Commission. However, there is no records of this firm in the regulator’s register, which means the broker provides false information. The website also supports various languages (British, Spanish, Italian, French and Arabic), and probably the company has been targeting residents of these countries. Although, the company is not licensed in any of those countries, and there is no regulatory body that monitors its activity to ensure it sticks to best practices. 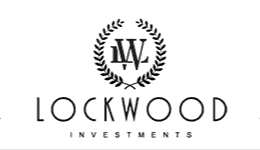 We definitely wouldn’t recommend trading with unregulated broker like Lockwood Investments. When choosing a new Forex broker, it is very important to verify that they are in fact licensed for investors from your country of residence. Trading with a licensed broker ensures you will not have issues withdrawing your investment. The most trustworthy brokers are those registered with such regulators as FCA in the United Kingdom and ASIC in Australia. You can read our review on this broker here.